In order to give a new impulse to Jordan's horticulture industry, an extensive training mission is currently in Holland to explore the opportunities of new technology and production methods. 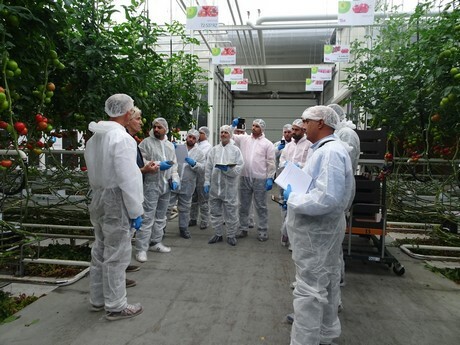 Over the last two weeks, a group of 13 professionals from Jordan have been in Holland to become acquainted with best management production technologies and training that could help them to optimize their domestic production of greenhouse vegetables and fruits. Their visit is part of a three-year program that was initiated to improve the Jordanian horticulture sector that could provide an extensive amount of job opportunities for the millions of refugees who reside in the country. "The program is designed with the aim to improve the domestic economy, provide jobs for the refugees and develop an adaptive horticultural production system that can cope with the water scarcity and other challenges in the country", explained Engelie Beenen of HollandDoor. 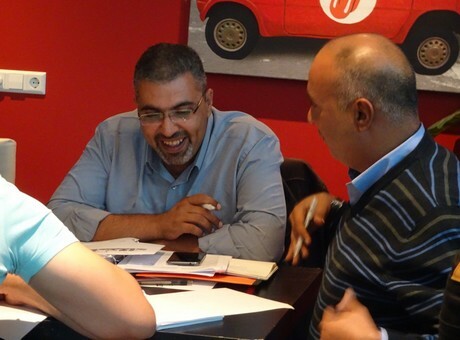 Together with Wageningen University and Bureau Leeters, HollandDoor is one of the three Dutch partners in the project that is managed by the Jordan company Eco-Consult. Beenen explained that Jordan has always been home to a vital horticulture industry. "Aside from a large date and citrus industry, many Jordanian companies are active in the field of single tunnel horticulture. They produce tomatoes, strawberries, lettuce, bell peppers and herbs. Due to the political tension in the area, this industry experienced a downfall after losing access to important export markets. Through the dissemination of knowledge, implementing new production techniques and exploring new export markets, our program aims to give a new impulse to the Jordanian horticulture sector." Over the last two weeks, the group consisting of growers, entrepreneurs and trainers have been participating in an intensive course program to scoop up new ideas, knowledge and inspiration. 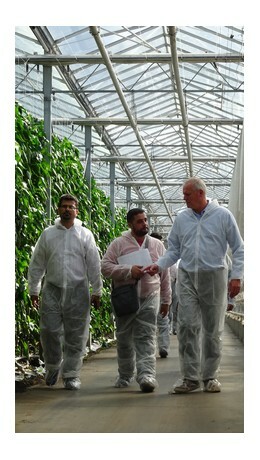 They visited companies like Rijk Zwaan, Westland Peppers, Greenpack, Harvest House, Demo Nursery Westland, Jiffy and more. The group has close ties with the Jordanian horticulture industry, some of them even have up to 200 hectares of tunnel production. Beenen explained that the biggest challenge for these entrepreneurs is scarcity of knowledge in terms of production, post harvest, marketing and greenhouse design and control. Project partner Bureau Leeters therefore conducted several studies to analyze the market, its current problems and future opportunities. Wageningen University is focusing on designing the optimal production method for Jordanian farmers by delivering a dedicated greenhouse design. "As Jordanian agriculture is challenged by drought, emphasis is on water efficient cultivation practices with the help of hydroponics", said Beenen. The initiative is currently implementing knowledge and expertise into the local industry. Companies that can offer a substantial contribution to the objectives and which are interested in joining the project are invited to contact HollandDoor in the Netherlands or EcoConsult in Jordan.